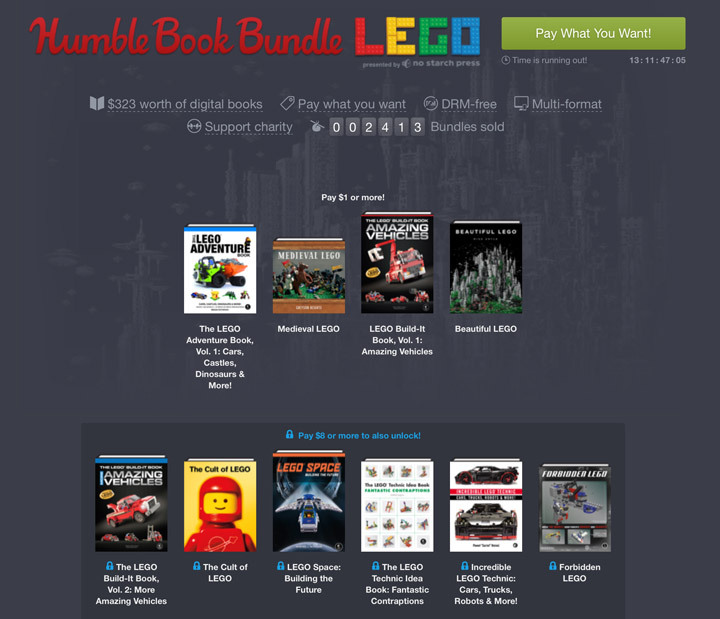 The Humble Bundle website just revealed their newest Book Bundle: Lego by No Starch Press. This bundle shares a bunch of stuff that was last available in the Humble Brainiac Book Bundle from February 2015. There are 16 titles; including the popular titles: Beautiful Lego, The Cult of Lego, The Lego Architect, and Steampunk Lego.